At Harrys we’re on a mission to create the best schnitzel experience on the planet. We’ve taken the time to create a vibrant and engaging Australian brand which is adored in the communities in which we operate. We’re all about family, fun and freshness and definitely not your regular fast food joint. Harrys is at the forefront of the fast food franchise industry, giving customers what they want – premium, fresh and healthy meals. If you’re hungry for success then we have the systems, sites, support and schnitzels ready to go! We're on a mission to create the best schnitzel experience on the planet. That's why you can hear our customers call out loud and proud "one schnitzel please Harry!" Like all good mates, Harry's always there for you. We proudly offer our franchisees ongoing training and support. We're one big family and want you to have the skills to grow with us. We've created an engaging brand that resonates with our target market so well that its become part of their lingo - they don't ask for a wrap, they ask for a Famous! NEW FRANCHISE OPPORTUNITIES AVAILABLE NOW! 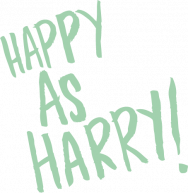 FIND OUT HOW YOU CAN BE AS HAPPY AS HARRY! Complete the form below to discover how you can become part of the family. We'll send you a copy of our Franchise Information Kit with all the details you need to know. Harrys is very versatile and whilst we already have store layouts and designs that work, we also know that in different areas, different styles are required. We will consider Kiosk, Street Level and Shopping Centres for all new locations. When looking for a location, we want to be visible and present in the area, always representing to the public that Harry’s is a fun and engaging brand. The qualities we are looking for in any potential franchisee are ones that we hold true to ourselves.. As a Harrys Franchisee you will need to be able to demonstrate exceptional customer service skills, a can-do attitude and the ability to motivate and lead your team to success. It is essential that you are a people person - ready to put your outgoing personality into every customer and staff experience. Experience in the hospitality industry is preferred, but not essential, along with proven leadership skills. All new franchisees will take part of an extensive three week training program that will be conducted both in-store and at Harrys Head Office. This training will cover customer service (The Harrys Way), production, food preparation, usage of equipment and all elements of human resourcing such as staffing, rostering and people management. All of this is supported by an extensive Harry’s Operations Manual. We like to think of ourselves as a very big extended family. The support you receive from our Head Office will be extensive, interactive and effective and will be maintained throughout our franchise partnership, that’s our promise to you. Your first point of call in every situation will be the Harrys Operations Manual and our Operations Team. At all times we’ll only ever be a phone call away. What a fantastic opportunity to invest in a successful business concept, where all you have to do is follow our tried and tested systems. New site investment ranges between $300K-$450K inclusive of store fit out and franchise fee. Investment for existing sites will be based on their historical performance and will be negotiated as required. YES, it is the only way to achieve success! We are looking for committed, enthusiastic owner - operator franchisees. What store concepts are available? What skills do I need as a Harrys Franchisee? What training will I receive as a Harrys Franchisee? What support will I receive as a Harrys Franchisee? Am I required to work full-time in the business as a Franchisee? Complete the form below to discover how you can become part of the family. A member of our Franchise Team will contact you to discuss the opportunities available.